B. R. Howard was contracted by the Newseum to perform an assessment and conservation treatment of a 1976 Datsun 710 that once belonged to Arizona Republic, news reporter Don Bolles. Bolles had been investigating links between organized crime and high-ranking state officials, and on June 2nd, 1976 six sticks of dynamite place under the undercarriage of his car exploded. He died 11 days later as a result of his injuries. After the police investigation, the Datsun was towed to a police impound lot where it remained until it was obtained by the Newseum in 2004. 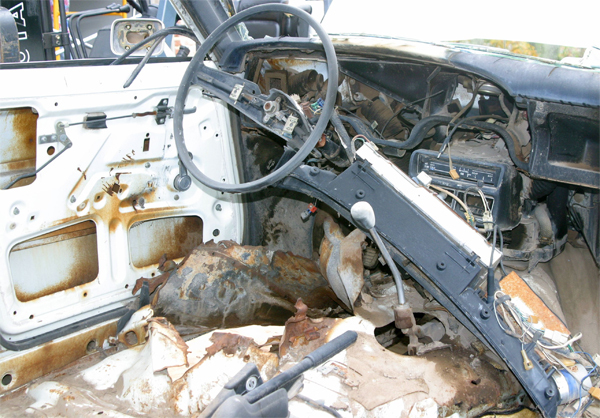 The interior of the car had been disassembled by police investigators directly following the explosion and was never reinstalled. All the components had been haphazardly stored inside the passenger compartment from that time forward. Much of the unpainted metal was covered in a thin layer of corrosion. The paint was severely oxidized and powdery, and every surface was covered in dust and debris. The shattered windshield continued to collapse into the interior, and the tires had deteriorated and gone flat. In addition to the damage caused by the initial crime and subsequent abandonment, desert wildlife had used some of the interior textiles for nesting, making the Datsun their home. The Newseum’s primary conservation objective was to return the Datsun to an appearance similar to that immediately after the crime had taken place. After the car was delivery to our conservation facility, it was placed in a custom fabricated envelope and fumigated for 48 hours eradicate any pests which may have infested the vehicle. Bolle’s car was thoroughly photo documented and cleaned. Interior pieces were treated and reinstalled in their original locations without trying to hide the damage that had taken place. The loose shards of glass from the windshield were placed in archival storage and remaining intact portion of the windshield was consolidated to prevent further degradation. The car's undercarriage and engine compartment were then cleaned using aqueous and solvent based cleaning systems to remove accumulated grease and grime. The engine compartment and the undercarriage were coated with a protective, reversible resin to ensure long term stability. 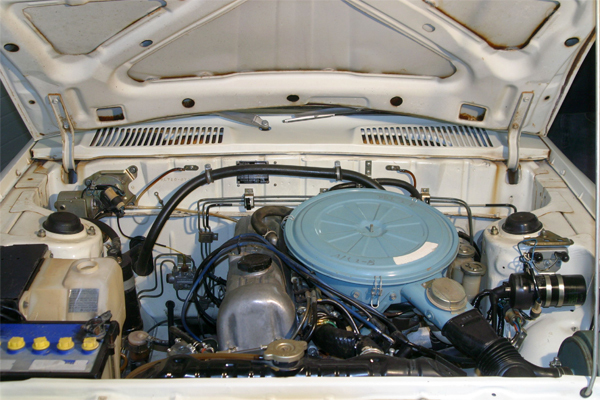 The Datsun's exterior was sprayed with a matted, reversible synthetic resin to consolidate the cracked and chalking paint. This resin was specifically formulated to prevent future paint loss without significantly altering the weathered appearance of the vehicle. Reproduction tires were acquired and mounted to replace the deteriorated originals. The Datsun was then returned to the Newseum and exhibited as an example of the dangers of reporting the news and to pay honor and tribute to the life and work of Don Bolles.